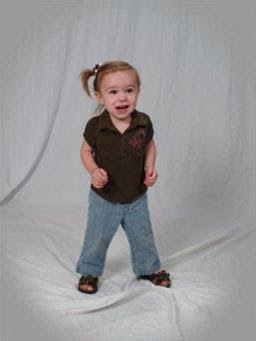 WE HAD TO GIVE MAYLEY FRUIT SNACKS FOR HER TO TAKE HER PICTURES. SO THAT IS WHAT SHE HAS IN HER MOUTH IF YOU LOOK CLOSE. It's all about the bribes! She looks cute!